Sapper Himal Prasad Limbu (Queen’s Gurkha Engineers), has been awarded the Best Rifleman Trophy for year 2018-2019 in Gurkha Wing Mandalay (GWM). 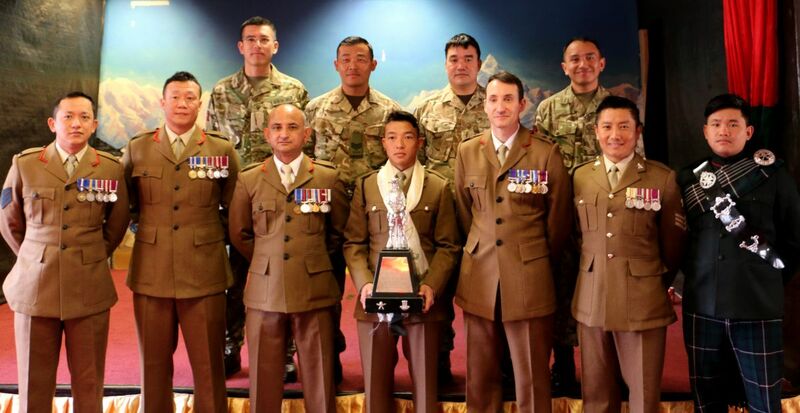 The Best Rifleman Trophy is awarded to the Gurkha private soldier (regardless of cap badge of the Brigade of Gurkhas) who is considered to have made the greatest contribution to GWM throughout the year. This award is presented during the Mandalay Day Parade every year. It was presented by Commanding Officer Infantry Battle School, Lieutenant Colonel Shaun Chandler.